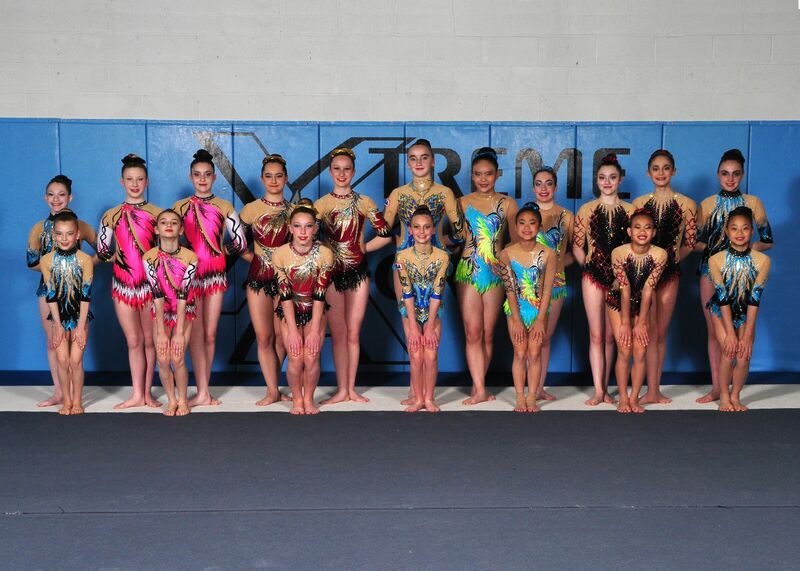 Acrobatic Gymnastics (also known as "Acro") integrates the grace and beauty of dance, the balance and strength exhibited in gymnastics, with the magnificence of teamwork not shared with any other sport in the USA Gymnastics family. Groups of two to four athletes reach new heights in gymnastics by performing dynamic, flight and balance skills, seemingly defying laws of physics and human movement. 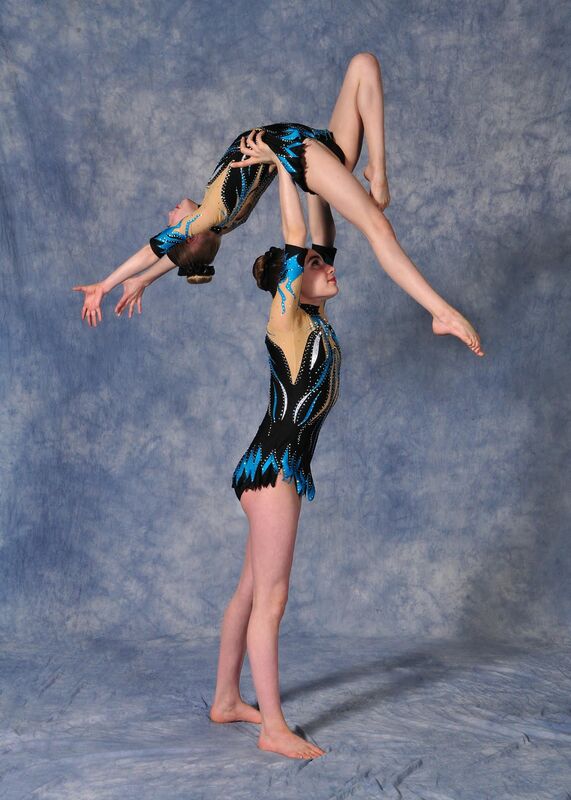 Acrobatic Gymnastics challenges the athletes' physical ability, while instilling in him or her the profound and lifelong values of trust and teamwork. 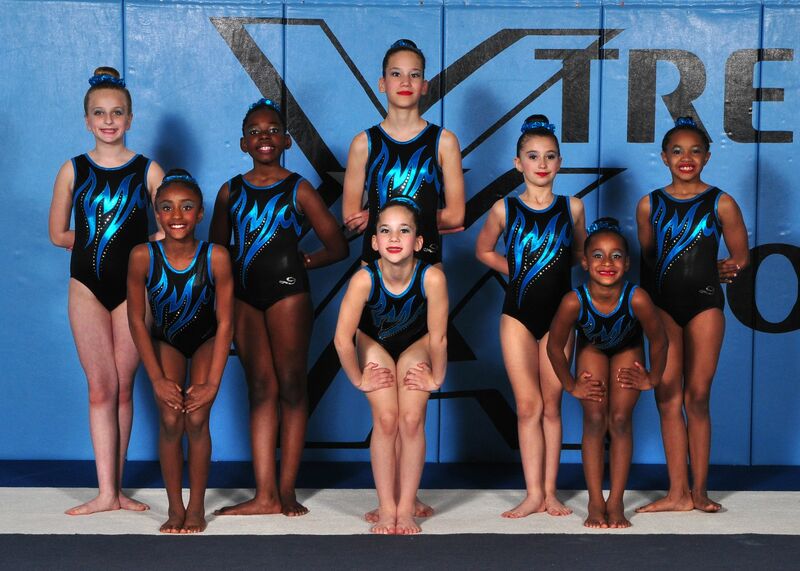 Pre Team- Our Pre Team is designed for younger children with little to no experience in gymnastics. 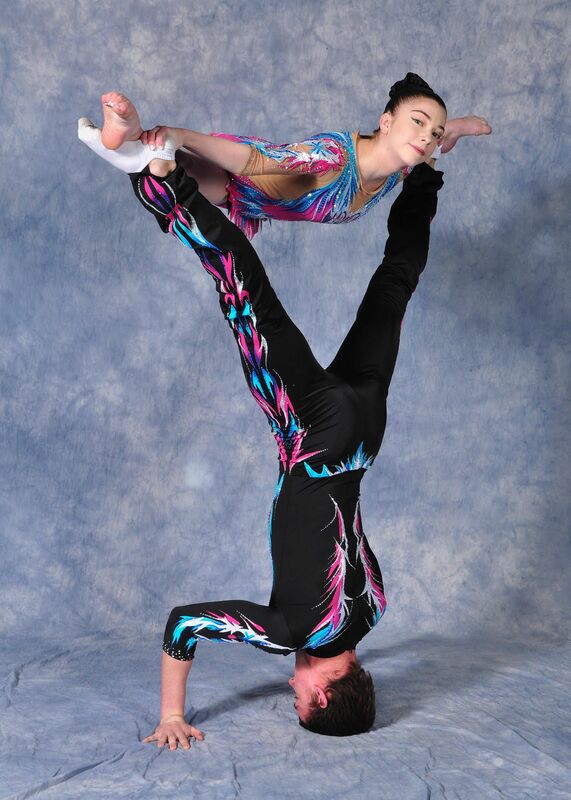 Pre Team athletes will learn basic acrobatic elements to help prepare them for the competitive teams. They practice 2 days a week for 1.5 hours each practice where they will learn a group routine to perform at our home meets. Bronze - Our Bronze level team is a basic beginner team, which will compete at our local acro meets including States and Regionals. They practice 2 days a week for 3 hours each practice. They compete in approximately 4-5 meets per season. Silver - Our Silver level team is an intermediate team, which practices 3 days a week for 3 hours each practice. 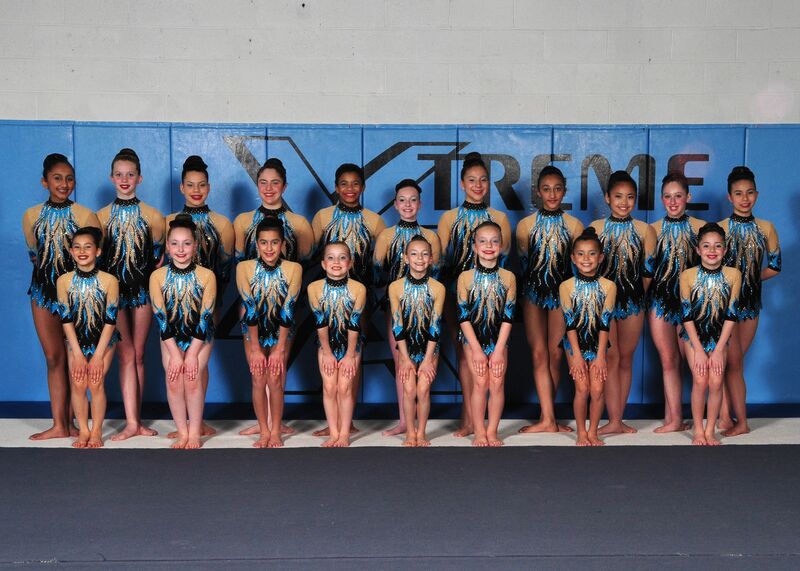 They compete in approximately 7 meets (including States, Regionals, and Nationals). Gold - Our Gold level team is an advanced team, practicing 4-5 days a week for 3 ½ hours each practice. 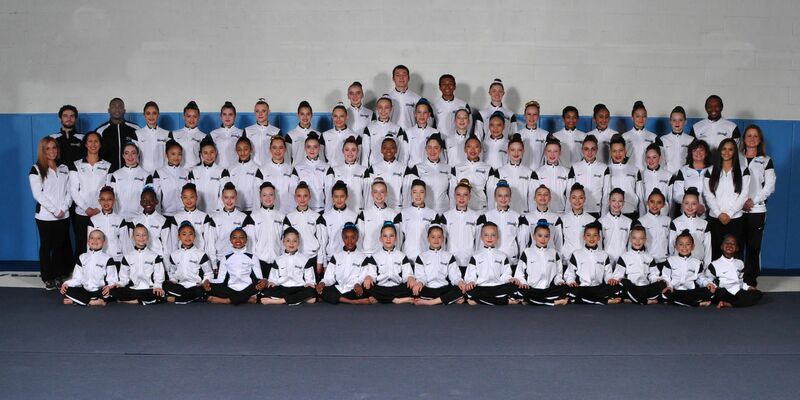 They also compete in approximately 7 meets a year (including States, Regionals and Nationals), and have the opportunity to be selected to attend training camps. Diamond - Our Diamond level team is our most advanced team, practicing 5 days a week for 3 ½ hours each practice. 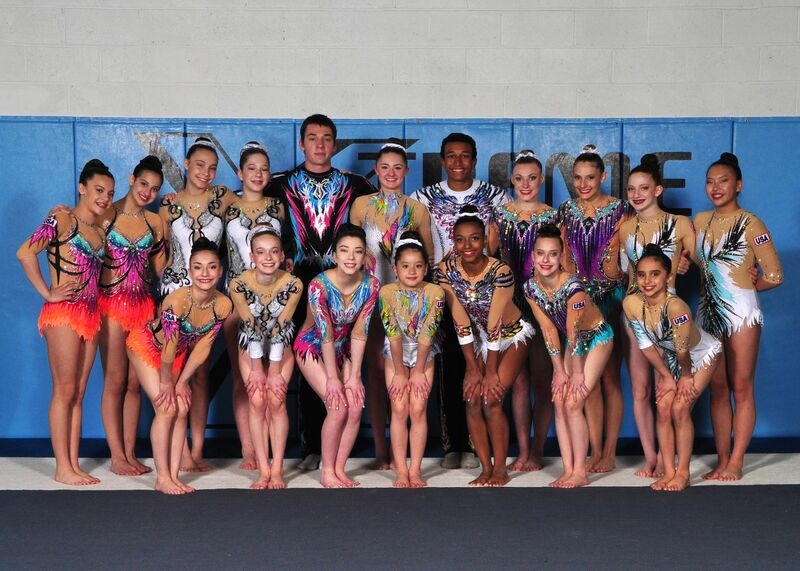 They compete at the Elite level, also in approximately 7 meets a year, and most try out for international meets to represent the United States. Check out some videos of our athletes! For more information on how to join our Xtreme acrobatic gymnastics team, contact the program director, Juli, at juli7907@gmail.com.